Is there a dummies guide to leasing? What about a lease calc to compare what I'm really paying in the end vs if I got a loan. Also, is leasing a 'good' option for those who will be buying their car anyway when the term is due? Last edited by mryakan; 12-28-2010 at 02:11 PM. Comparing the out-of-pocket is simple. Add together all your out of pocket expenses for each method and compare. Don't forget "hidden" fees like the lease disposition fee (fee imposed if you turn in the car and don't re-lease another one), etc. Digging deeper into the comparison requires a knowledge of financial principles like ROI and opportunity cost of money. Basically the argument is that with the lower payment of a lease (versus a traditional finance payment) you could invest the difference and earn more than you are "paying" in interest. Edmunds has a decent lease calculator. You can also just use the basic calculation (below) which is always posted monthly with the current BMW lease rates on the financing forum at RoadFly (link to 5/08 rates below). Add to the Base Monthly Payment any other monthly out of pocket items (some states divide sales tax over the # of lease payments) to get your end-all-be-all lease payment. Last edited by aftp302; 05-23-2008 at 01:56 AM. Use this thread to give out LEASE ONLY information. BMW offers a program called Multiple Security Deposits (MSD) with their leasing programs. The gist is, you can put down up to 7 additional security deposits (above and beyond the 1 required) and for each one you will receive a .00007 reduction in your lease Money Factor. 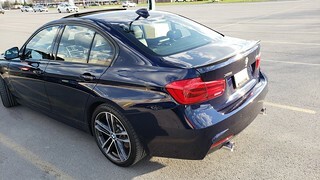 At the end of the lease BMWFS will return those 7 extra security deposits to you, assuming none of them are needed to absorb damage, excess miles, etc. Putting down the maximum of 7 additional security deposits you would owe BMWFS $3500 more at signing (7 * $500) and in turn they would reduce your money factor from .00150 to .00101. Two considerations when evaluating whether MSD's are for you. 1) You have to have the extra cash lying around and not need it for the duration of your lease. 2) You need to be comfortable that you could not take that extra money, invest it (wherever) and earn more interest than the sum of your savings due to the decreased lease money factor. Delaware charges a "sales tax" on the monthly lease payment of .0192% so that adds $11.08 to my payment for a grand total of $588.25 per month. At the end of my lease term (assuming I return the car with no damage and below mileage) I should get back 3 security deposits ($1800) and have to pay a disposition fee of $350. What about the BMW select financing option? Here your monthly payments are based on a portion of the total cost of the car -- much like a lease. Under that senario, your "lost interest" would be less. I'd like to see a calculation with that factored in. Feel free to open a thread about this. If enough info is posted, I can sticky that thread or merge it with this one if appropriate. For now, let's keep this thread dedicated to leasing information only. Last edited by veightkiller; 12-13-2008 at 09:40 AM. 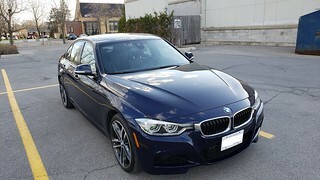 Hi all: I was trying to search specifically for the Current 2009 Residual & Money Factors for the 2009 328XI and the 335XI. I was not able to find 2009 figures. Does anyone know where I can obtain that info? Thanks in advance. Last edited by mryakan; 12-29-2008 at 11:46 AM. These are the December 2008 rates. They will change as of 1/1/09 and the new rates are always posted on roadfly about a week into each new month. Thank you aftp302 for responding. I had a quick question. If the MSRP on a car is 39,000 and you want to lease it. Not counting the down payment could you negotiate with the dealer to bring that to like 38,000. and then you put the down payment on that 38k and calculate your lease from there. Or is it hard to do now? Or is it possible? That's how it works. The "Capitalized Cost"is the price you negotiate with the dealer (which is really only dependent on your negotiation skill and market conditions, it is completely independent of the lease formula), minus any downpayment. However, the "Residual Value" is calculated based on MSRP no matter what the Cap Cost ends up being. Last edited by mryakan; 01-02-2009 at 04:03 AM. Tax laws differ from state to state/province. If someone has a link to a good summary of the various leasing tax laws that could be helpful. This really doesn't affect your lease calculations. It's either some extra money that needs to be paid upfront, or in addition to each payment or a combination of both. How much can you negotiate usually is 2k off the msrp of a 40k car ordinary? You should go from invoice price up, not from MSRP down. In current economic environment you can get a car for $500 above invoice price. Multiple security deposits helped me out with my current lease, I maxed out my MSDs, I'd recommend it as a good way to keep your monthly payments minimized. Oh, and this is true even in a normal economy. Depending on the dealer and what you're looking for, you might even be able to get something under/at invoice. I did a write up on leasing a few years ago. Do a search on "Leasing 101"
...when it is really quite simple once you get past all the mumbo-jumbo. In leasing terms that is your "Capitalized Cost." Then there all sorts of "add on costs that have little to do with the actual lease, but add money to your cost. Let's also assume that the dealer works your monthly payments out to $150 a month for a 3 year lease. Is that a good deal? add the residual value and you're at $11900 - which is the true cost of the car without taxes, tags and whatnot. Add up all the proposed costs (monthly payments plus down payment plus taxes plus tags plus dealer fees [aquisition, disposition etc] - everything but refundable fees like security deposits) and add that to the residual to get the actual cost of the car. You can subtract the residual again to see exactly what the lease will cost you. Only you can decide if that car is worth that amount to you.